Samsung Malaysia has been busted for using a heavily-edited photo taken with a DSLR camera to advertise the camera on its Galaxy A8 Star smartphone. Professional photographer Dunja Djudjic published a blog post detailing how Samsung had used one of her portraits to market the dual-camera system on the Galaxy A8 Star smartphone. Samsung Malaysia purchased one of Djudjic's photographs through Getty Images and published a heavily-edited version with a new background as marketing material for the device. 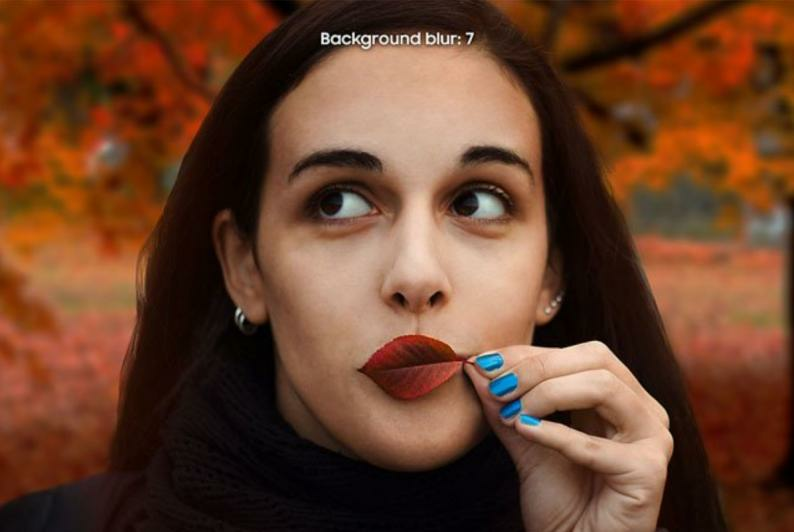 The image appears on Samsung Malaysia's product page for the Galaxy A8 Star, supposedly showcasing the background blur capabilities of the smartphone's camera system. Djudjic said that while she received a purchase notification for the photo which implied it was purchased legally, the context it is presented in on the product page is false advertising. "I'm pretty sure that Samsung at least bought my photo legally, even though I haven't received the confirmation of it," Djudjic said. "But regardless, this is false advertising."